possible such a race has occurred in the past. It’s just that nobody was around to get video, or possibly, the action was so boring that nobody cared to share it. Enter Hoovies Garage, which paid a visit to a new car museum opening next year in Kansas called the Midwest Dream Car Collection. Part of that collection will be the vehicles featured here, specifically a 1981 DeLorean and a 1975 Bricklin. Pretty much everyone recognizes these names, and though the DeLorean is a bit more famous thanks to Hollywood, the Bricklin isn’t without its share of interesting features. Naturally both cars are known for having gullwing doors, but the Bricklin’s are hydraulically operated. And of course, both cars feature sleek styling that made them look much faster than they actually were. 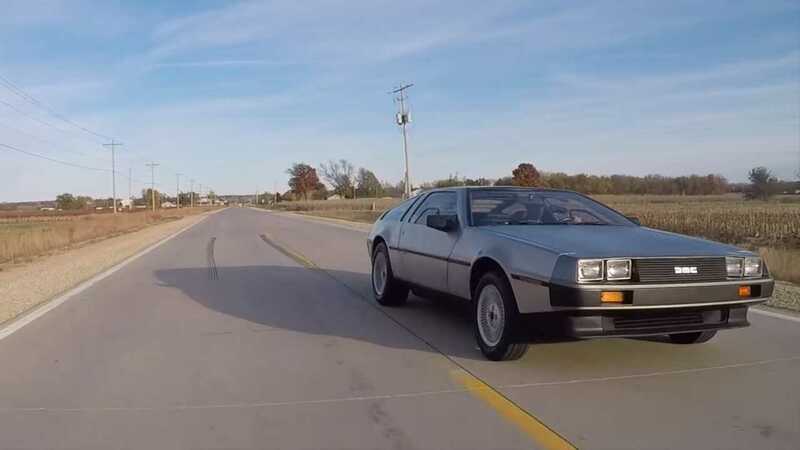 Speaking of which, when new the DeLorean relied upon a Renault-sourced V6 mounted at the back that produced 130 horsepower (97 kilowatts), connected to either a manual or automatic transmission. The Bricklin, meanwhile, started life with a 220-horsepower (164-kilowatt) 5.9-liter AMC-sourced V8 for 1974, mounted up front with a choice between a manual or automatic transmission. In 1975 the powertrain switched to a 5.8-liter Ford V8 making 175 hp (130 kW), paired exclusively with a three-speed automatic. Like the DeLorean, the Bricklin only had a two-year production run. These specific cars are blissfully stock, with the DeLorean packing the manual gearbox compared to the Bricklin's slushbox. You’d think that with such a power advantage, the Bricklin would pretty much dominate the DeLorean. We’ll leave the outcome of the drag race to the video, but let this be a lesson on how gearing and transmissions can zap horsepower. We only wish the racing had been done with the gullwing doors open. Maybe we’ll see that next time.